Again, since I can't stress it enough, SiteC is wrong and should be cancelled. Its financial impact in cancellation is less of a burden than to carry out its construction. Worse, but most compelling for me, is the impact on reconciliation efforts with First Nations and the stated objective of the NDP government to get to a place of compliance with UNDRIP. There is time to reverse this decision, but the government must move quickly to do so. I certainly get the level of frustration going on with the SiteC decision, what I didn't expect is the level of online harassment, name calling, and outright bullying that's happened as a result. It is over the edge. 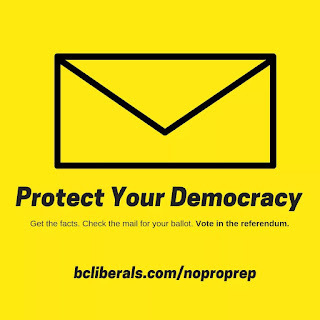 BC is better than this, and internally, so is the NDP. The government has decided to move forward with SiteC, and therefore will have to own all fallout that comes from complications in construction cost overruns (almost a guarantee). They will first have to mitigate the justified uproar of the good folks the Treaty 8 in Northern BC to allay their concerns. This should have been done at the very first hour when SiteC was still only talk, but it wasn't. I'm sure this will add to the costs of the whole project, but its the right thing to do if we must carry on building this unnecessary dam. Activists aren't going to like this, but SiteC is only one of several hard choices ahead. The NDP can partially redeem themselves here by settling with the legitimately upset First Nations here, but at some point, we're going to have to move on. Politics are a dirty, contradictory, even hypocritical mess. Every party's activists have been mad at their leadership from time to time; but consider that a government doesn't necessarily govern for its own party, they have to govern for the whole province. I presume that grass-roots BC Liberals were mighty mad after having been told that their party would not sell or privatise BC Rail if elected, only to have BC Rail sold off after getting elected. 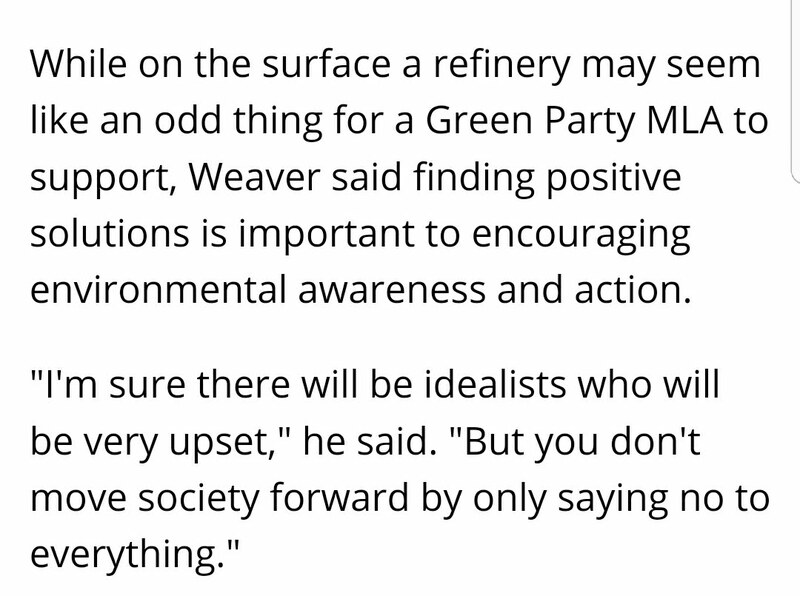 Or, Dr Weaver, the climate scientist Leader of the Green Party - he's not spotless here either. Andrew Weaver after all, supported SiteC before he opposed it. 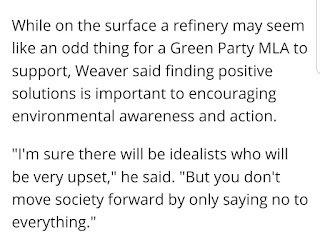 Further, in defense of his support of a crude oil pipeline to a refinery proposed to BC's west coast, be said that you can't say no to everything. But enough of the vile hatred and rhetoric. BC's is worse off for this dark turn in her politics.